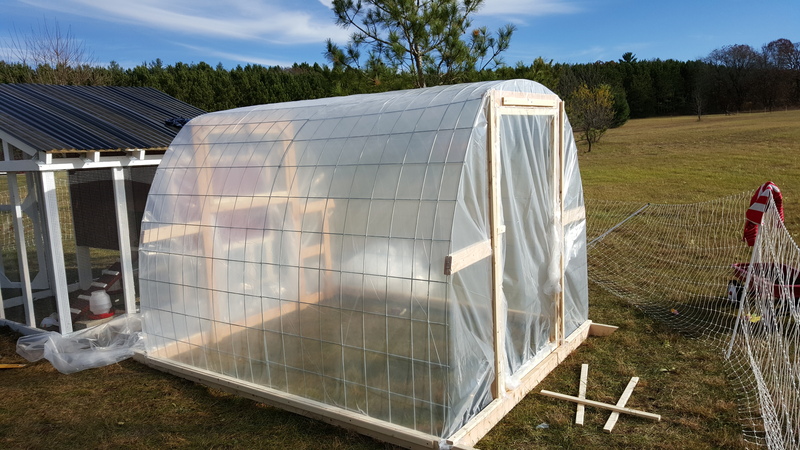 This weekend we built a small greenhouse based on this design. Really easy and inexpensive to build, and it seems to have turned out great! We are going to let the chickens use it for most of the winter and then start some tomatoes/etc in it come early spring.